By pulling out the 2-1 victory over a scrappy Cornell team, Drexel improves their record to 7-2 while being ranked 18th nationally. 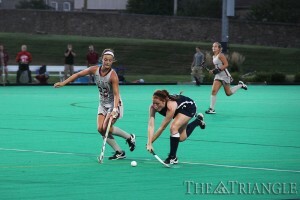 When adversity hits a team, members can either panic or thrive; the Drexel field hockey team is thriving. The Dragons did not play their best in their most recent game, but they got the job done and earned a win against a scrappy Cornell University club. Drexel won 2-1 after senior co-captain Elise DiDonato scored the game-winning goal in double overtime off a corner from junior Meghan Plank. Freshman Jessica McCarthy scored the first goal only 1:45 into the game to give Drexel a 1-0 lead, but Cornell was able to respond with a goal in the first half to tie it up 1-1. The second half was scoreless, sending the Dragons to their first overtime game of the season. 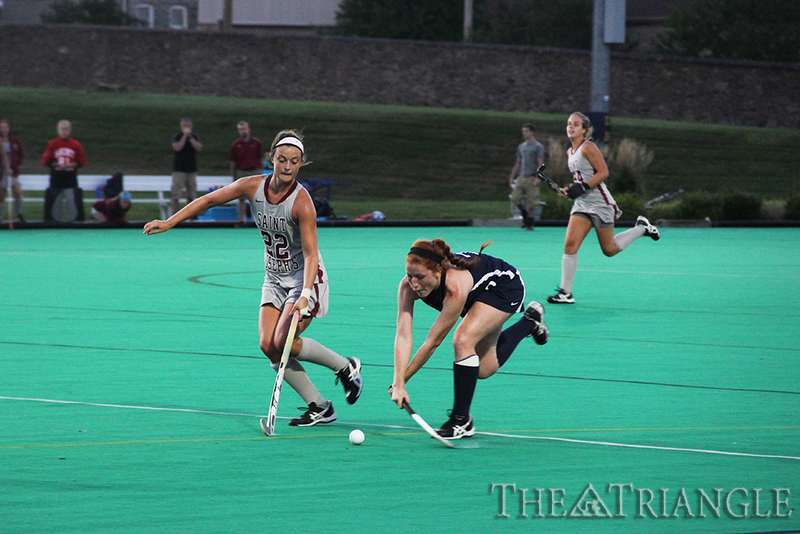 After the first overtime ended, Drexel found itself in a tough battle. DiDonato and her teammates understood the position they were in. “We refused to lose that game, and everyone was prepared to step up to ensure that outcome,” DiDonato said. In the second overtime, the Dragons got a great opportunity to score when they had their sixth penalty corner of the night. After 86 minutes of play, Zelenak felt confident that the penalty corner was the right time to end this game. With the win, the Dragons were able to improve to a 7-2 record on the season. Drexel is now ranked 18th in the country and will face Dartmouth College and Rutgers University this weekend. This time the Dragons will be in the comfort zone, which is playing at home. “We love to play in front of our family and friends at home,” Zelenak said. Even though both Rutgers and Dartmouth have a losing record, the Dragons understand that every win matters.